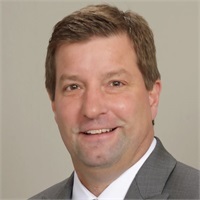 Bradley Risius | Farmer & Betts, Inc.
With almost two decades of experience in the pension industry, Brad brings deep knowledge and expertise to his clients. Brad Risius works with financial advisors, CPAs, business consultants, and plan sponsors to create retirement plans to fit their cost and contribution needs. He began his career in the mutual fund industry with Oppenheimer, then was drawn to the pension industry because of his desire to help people plan for retirement. He has been working with large 401(k) providers in operations, sales, and consulting roles for over 18 years. Financial advisors, accountants, and business consultants choose to work with Brad because he is willing to listen first before he begins designing a solution to meet their needs. His technical expertise and experience in the industry allow him to create pension plans to fit a variety of goals and challenges. Brad holds a B.A. in Finance from Colorado State University and his Accredited Retirement Plan Consultant (ARPC) designation. He has held his life insurance and FINRA series 7, 6, and 24 licenses in the past. Brad offers the distinct benefit of being supported by Farmer & Betts, offering the highest level of plan administration and resources, such as an ERISA attorney on staff. Brad and his wife reside in Kansas City, Missouri. Together they enjoy spending time with their son and dog. Their favorite outdoor activities include soccer and skiing.